Generally speaking, the “sportier” the brake pad, the more likely it is to squeak. Next-generation MEYLE-PD brake pads are designed to keep noise emissions to a minimum, according to the Hamburg, Germany-based manufacturer. In total, the company has enhanced 350 MEYLE-PD brake pads for passenger cars compared to the previous iteration. Oscillations and vibrations of the surrounding components and brake discs can lead to braking noises and squeaking brakes. Performance-oriented brake pads, in particular, tend to generate noise or squeak due to their hardness. This type of noise must be compensated by the brake pad as a direct connection to the brake disc. 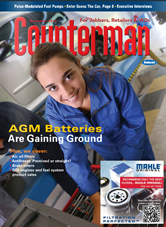 With this in mind, MEYLE has focused on developing low-noise performance-oriented brake pads. The brake pads, which already are individually adapted to the respective vehicle classes, have been refined again in numerous tests and driving trials, the company noted. One factor that plays a major role in braking performance is brake-in time. To achieve optimum braking performance, the brake pad and brake disc need to be adjusted to each other during the brake-in process. 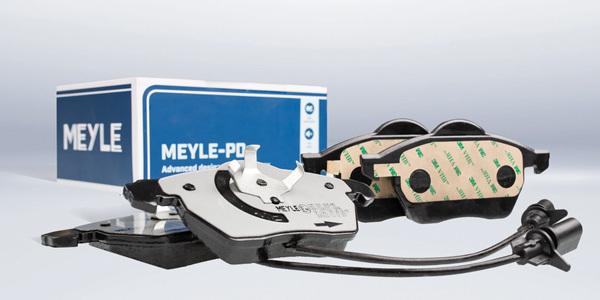 Depending on the friction material, MEYLE uses two processes in production to shorten the brake-in time: scorching (final heat treatment of the brake-pad surface) or a special coating of the brake-pad surface, which shortens the brake-in time and “ensures the usual MEYLE-PD performance from the very first braking,” according to the company. All MEYLE-PD brake pads are tested and certified according to ECE R 90 quality standards, and exceed those within the scope of legal approval, according to MEYLE. “Even the re-designed MEYLE PD brake pads have to withstand a multitude of braking operations in everyday and extreme situations without any adverse effects,” the company added. MEYLE also had an independent third-party institute test the MEYLE-PD brake pads and confirm their low-noise performance and durability, the company said.